Rochelle Porter has never met a blank surface she didn’t want to draw on. A lifelong lover of global design traditions, the Atlanta-based artist takes cues from the breezy hues of her Caribbean roots to create her designs. She is also influenced by the stark simplicity of Scandinavian prints, and the bold geometrics of West African weaves to create vibrant, eye-catching textiles for the home décor and apparel markets. Her travel-inspired patterns feature joyful, unexpected burst of color and classic motifs with a modern twist. Upon learning of the unethical and environmentally hazardous labor practices of today’s globalized “fast fashion” industry, Rochelle nearly abandoned her dream of becoming a designer. That is, until she figured out that style could also be sustainable. Combining her passion for patterns with her commitment to social responsibility, she formed Rochelle Porter Design (RPD), a lifestyle brand specializing in thoughtfully made, eco-friendly home and fashion accessories. True to its tagline, “Design for abundant living,” the company believes everyone along the value chain should have a chance to live well—from the farmer who picks the pesticide-free organic cotton for its textiles, to the customer who puts them on her sofa. RPD prioritizes fair pay, environmentally safe manufacturing, and the use of organic and recycled materials whenever possible. Additionally, a portion of the company’s proceeds go to organizations that help human trafficking survivors and displaced families rebuild their lives. Rochelle has been featured on In Her Shoes blogs’ Holiday Shopping Guide, Black Southern Belle and mybrownbox.com’s Brown Girl Boss Owned Businesses to Support in 2017 and Beyond list. RPD’s playfully sophisticated products have been sold at West Elm, on Zuvaa.com and in local boutiques. When I think of Black history, I think of this iconic photo of Tommie Smith and John Carlos giving the Black Power salute at the 1968 Olympics. This Black History Month is an ideal time to celebrate the cultural Renaissance that's been happening. Twenty sixteen had its share of ups and downs, but it was a banner year for African-Americans in creative fields. From design to film to television, Black artists have been consistently producing thoughtful, brilliant, groundbreaking work, and this is only the beginning. I'm also encouraged by the fact there are more Black men and women in positions of power in the arts and entrepreneurship than ever before, guaranteeing us a seat at the proverbial table. Where Are You Finding Inspiration To Design This Year? 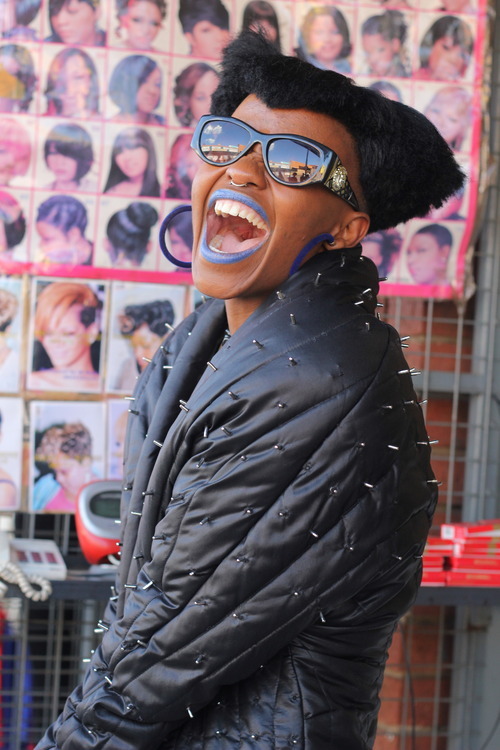 I recently discovered South African photographer Trevor Stuurman on Instagram and Tumblr. He manages to make his subjects look simultaneously casual and exalted. Many of his photos feature layers upon layers of bright, almost garishly colored prints that seem like they should clash, but they never do. He's a true aesthete and a risk taker, and his work makes me want to be more daring with my design choices.